Join us for 5 amazing nights on one of the most beautiful islands I have ever set foot on. These photos are not filtered. Yoga every morning in our yoga pavillion, afternoons soaking in the teal blue water of the Caribbean Sea and evening yoga classes on the white sand of Shoal Bay. Anguilla is more expensive than other Caribbean islands. You are not going to find a "deal" here. The reason is, nothing is sold in bulk. There are no cruise ships. There are no all inclusives or large hotel chains who focus on selling for numbers and not quality of stay. Hotels on this island are small, most privately owned. They care that you have a positive experience every day of your stay. Everyone on the island will greet you you with a warm, genuine smile. You are not viewed as a tourist here. You are viewed as a friend. Most people who visit Anguilla come back every year. 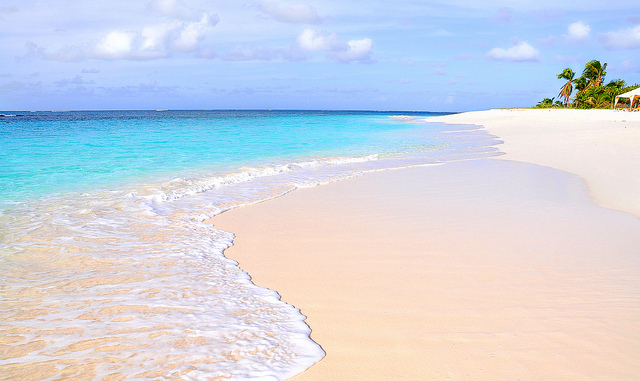 Once you've experienced the Anguilla way, nothing else will compare. Anguilla is the way the Caribbean used to be before cruise ships and all inclusive resorts took over. You will never fight for a chair or an umbrella. There is always plenty of space to walk, swim, sit and read. Anguilla is "Old School Caribbean"